Why is it so hard to determine costs for this star party. They force you to fill out your information first which is a pain. Should make it much easier and have one link take you to a chart. Edited by Chucky, 11 October 2018 - 11:48 AM. It always sells out to those with deep pockets which is your first clue. If uncertain about going or committing to buying so early there's usually someone wanting to resell their ticket(s) at a discount. Makes sense Richard. As the saying goes "if you have to ask the price, then you can't afford it". Edited by Chucky, 11 October 2018 - 11:44 AM. 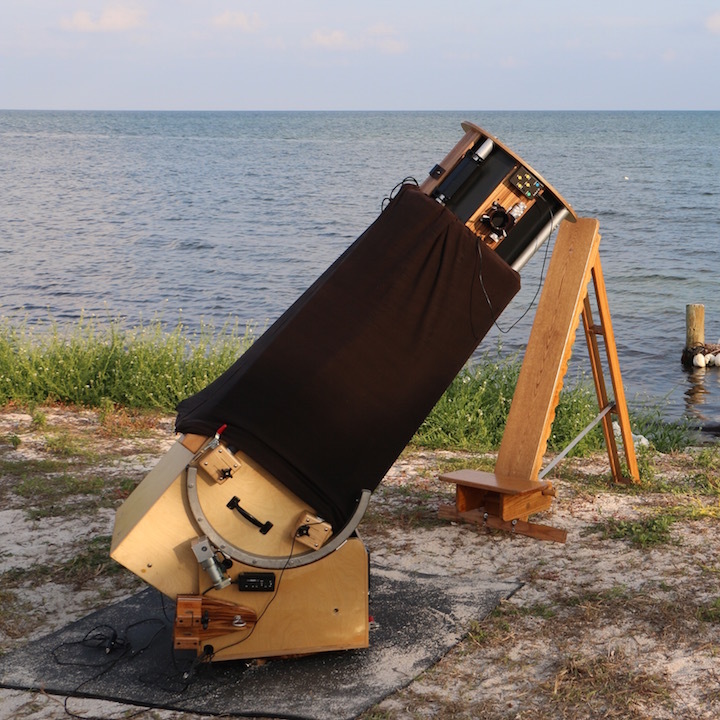 Winter Star Party, held in the Florida Keys every winter. Setting up my scope and teardrop on the ocean for a week in February? Priceless. But you have to go once. Then just observe in the back yard until the wife forgives you for spending so much. Has anyone ever considered an alternate "make your own party" in south Florida? I toyed with the idea of attending the WSP, but the price also put me off (as well as the stories about fire ants.... ). As an alternative, I'm considering heading to the Everglades National Park. The walk in camping area overlooks Florida bay....seems like that should be a good spot to observe from. Has anyone else observed from there? (no intent to hijack the thread....but just curious). They're supposed to be much less a problem during the winter months (assuming it's been a dry winter). Plus, if there's any breeze coming off the bay that will help. I would think the Everglades would be too close to Miami’s humongous light dome to be any good. Maybe the western side along alligator alley might be better but then you have Naples to deal with. But what do I know being from Michigan. Edited by caheaton, 03 December 2018 - 11:21 PM. The WSP was in the everglades way back when (80's), maybe someone attended in those days and could give a report. Light pollution may have worsened since then. The objects you want to observe can be seen late at night on the meridian in February if you want less bug exposure. I did not attend in the 80s but members from my club, Southern Cross Astronomical Society (which hosts the WSP) regularly go to Mahogany Hammock in the Everglades when the weather cools down. At that site the Miami light dome is prominent towards the NE but the S, W, SW and NW are super dark. Flamingo (my preference) is further away and the Miami Sky dome is not much of an issue. However, there are many campers who make fires and have lots of lights on and such. The skies are beautiful though. I mostly like to go down to the Keys and observe at or near Bahia Honda State Park (next key over from WSP), the 7 Mile Bridge parking lot, Curry Hammock State Park, Long Key State Park or Anne's Beach (destroyed by hurricane but should be back soon). Omega Centauri is just awesome. Love to see it in my 16" F4 dob with binoviewers. Also, I have never had an issue with fire ants. I usually get a bag of fire and killer, sprinkle it on my campsite, done. No ants. Okay this thread on WSP costs has run its course and drifted off topic. If anyone wants to discuss the WSP in general, there are other threads - or start a new one.